Students who rely on free and reduced-priced meals during the school year turn to Summer Food Service Programs. But there are many communities in Ohio where programs are not available or are difficult to access. COLUMBUS – Summer is a time to take a break from class, but that time away means some children will go hungry. School food programs help Ohio’s most vulnerable children access nutritious meals. But only one in 10 of the 780,000 Ohio students who receives free or reduced priced meals during the school year eats at a Summer Food Service Program. Nora Balduff, director of Child and Senior Nutrition with the Ohio Association of Foodbanks, says in many cases there are no nearby sites or the children lack transportation. “We see them coming to soup kitchens, we see the numbers of kids visiting food pantries rise as school lets out and it’s pretty alarming that these children aren’t able to access these critical programs,” she says. Balduff stresses there is great need for community organizations to sponsor programs throughout Ohio. 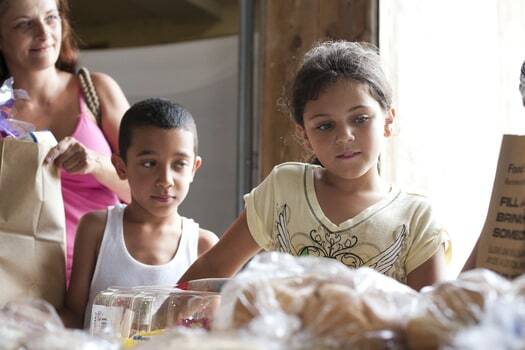 According to the Food Research and Action Center, an estimated one in four Ohio children is food insecure. These children do not know when they will get their next meal. Balduff says the governor’s office and other partners across the state are using innovative ways to get food to children, including distributing take-home weekend meals to children in summer food programs. “We’ve also engaged in delivering meals to community locations like a fire station or a library or a church and we’ve even home-delivered some meals to children who live in very rural areas,” she relates. The Child Nutrition Act is up for reauthorization this year, which Balduff says can ensure funding and flexibility for critical food programs. She states that community, state and federal leaders can work together to reduce hunger. More information about Summer Food Service Programs is available by calling 1-866-3-HUNGRY.